Nowadays all cydia lovers busy with brand new cydia tweaks. 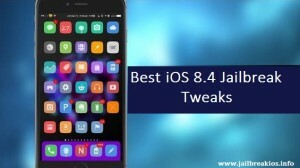 With new jailbreak release, they fly on cydia tweaks, apps, themes, modes and more. iOS 8.4 jailbreak tweak is currently available to gain cydia installation on iOS 8.4 firmware. Actually cydia is the popular free application, working as an entrance to the cydia world. However, we glad to say you that brand new iOS 8.4 jailbreak tweak has just released for cydia fellows. 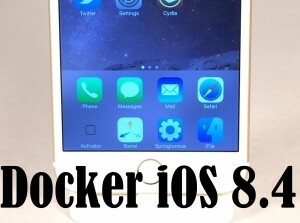 Docker iOS 8.4 is the new jailbreak tweak that let to add more apps to the dock. The dock on your iPhone’s home screen can hold up and add additional apps to it. With Docker, you can gain additional row of icons to iPhone’s dock and it accessed to the additional row for swipe up on the dock. 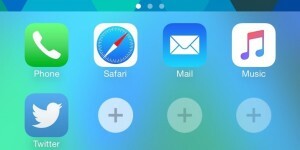 It means that you can hide or show the additional app icon row with a simple swipe gesture. As your choice docker will hide or show the row. Behind the Docker installation, you can see the four “+” buttons on the second row (additional row). You can add an extra apps after clicking any one of the “+” buttons. If you need to remove extra app, you have to do give simply tap and hold on the app to enter “jiggle” mode and the press “X” button. Then the app will remove from the dock and it will be place at its earlier position on the idevice home screen. Are you encountering the bug while using the Docker, that you could not add the apps that are on the home screen’s last row? If you need to add any app on the last row to the dock, it will be doing so hard, because Docker does not let to add last row app to the dock. So when you select the app to add for additional row, you will have to make sure that whether the app is not located on the last row of the home screen. If you are thinking to take Docker to your iPhone, iPad or iPod touch, we glad to say you that you can download Docker iOS 8.4 simply. It does not require any extra configurations to installation. Actually the smooth animation of the dock will make glisten look for your idevice. I think that it also looks a lot clear than if you added more than 4 apps in to the single row on the dock. Somehow, we invite all of you, enjoy with Docker.